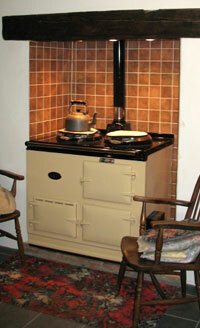 Aga's, Rayburn's, Stanley's, Redfyre's and other makes of ranges represent a substantial investment and should last a lifetime. With time, your pride and joy can begin to look a little tired and bruised which in no way affects it's performance but can be cosmetically displeasing. We are able to offer a re-enamelling and re-furbishment service to make your range like new, replacing domes, seals or any other damaged parts. In many instances it is possible to convert solid fuel to vapourising or in some cases pressure jet, providing a new lease of life and improved convenience at a fraction of the cost of a new range.